Researchers reveal, in today’s top story, just 13% of the world’s oceans can be classed as wilderness (with minimal human impact) and helpfully point to what we can do about it. In other news, Australia’s renewables boom continues as does much damning analysis of the recently released NEG methodology, while the UK passes a 30% of renewables and pushes for more; contrasting and complementary views on how a pantheist and a monotheist religion can do good by the planet; and it was world Mangrove Day yesterday – if you didn’t know already, mangroves are amazing, providing many beneficial services. Scientists have mapped marine “wilderness” areas around the world for the first time. These are regions minimally impacted by human activities such as fishing, pollution and shipping. 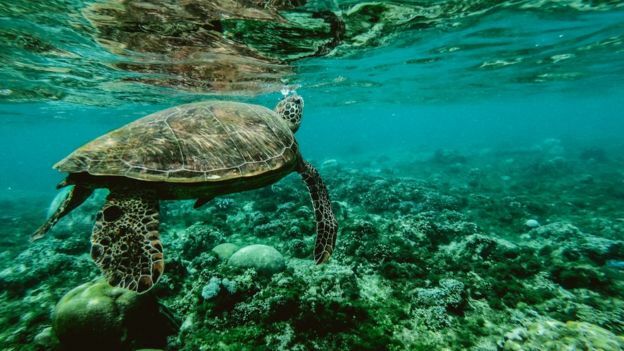 The team, led by researchers in Australia, found that just 13.2% of the world’s oceans could be classed as wilderness – most in international waters, away from human populations. Very few coastal areas met the criteria, including coral reefs. AUSTRALIA – Tesla and other proponents of virtual power plants and demand management schemes have scored a significant win after the country’s main energy market rule maker gave its support to the idea that they can compete freely on the wholesale electricity market. The decision announced by the Australian Energy Market Commission on Thursday is likely to encourage new players in the market to aggregate solar and battery storage installed in homes and businesses, as well as load controls, in a major shift to the way demand and supply is managed. AUSTRALIA – We have now had a chance to review the Energy Security Board’s (ESB) final National Energy Guarantee (NEG) design sent to COAG Energy Ministers this week, which has not been made public but is widely available. The bad news for the clean energy industry is that the restrictive and discriminatory features in the design of the NEG have not been addressed. AUSTRALIA – The Queensland government warns it may block the Turnbull government’s signature energy plan, saying that it won’t sign any deal that undermines the state’s ambitious renewable energy target. Anthony Lynham, the state’s energy minister, told Fairfax Media that backing for the National Energy Guarantee hinges on whether Queensland’s target of making 50 per cent of its electricity renewable by 2030 will not be affected. Almost 30 per cent of UK power generation last year came from renewable sources, according to official government statistics that today confirm a raft of clean energy records were toppled in 2017. The latest edition of the DUKES energy statistics confirm the UK’s reliance on coal power continued to fall sharply throughout 2017 with overall coal generation falling 27 per cent year-on-year. UK – Farmers across many parts of the UK are bracing themselves for thunderstorms and outbursts of heavy rain after weeks of drought and high temperatures. The sudden change in the weather, expected to affect eastern areas hardest but spreading to the north and Midlands over Friday, is likely to cause problems of flooding and potential crop damage. July 26 is International Mangrove Day, dedicated to the unique forests that survive at the interface of land, river and sea. Mangroves protect coastlines from storm surges, filter out pollutants, and are home to a wide array of diverse life. 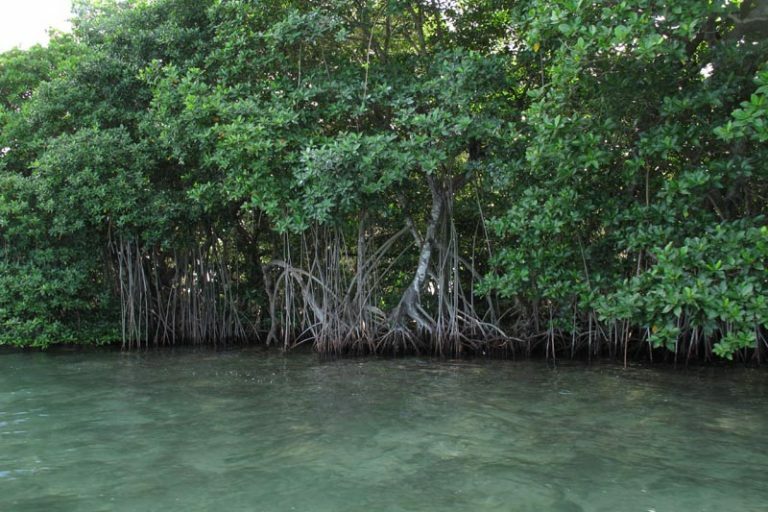 However, mangroves have declined rapidly around the world, losing out to shrimp farms, tourist resorts, agricultural and urban land over the past decades. What does the disappearance of this special forest ecosystem mean for our planet? AUSTRALIA – John Hammond is a pioneer of Tasmania’s scallop industry, with more than 50 years’ experience. He has had concerns about marine seismic testing by oil and gas companies for about 10 years — since helping a seismic survey team in Bass Strait. Seismic testing involves firing soundwaves into the ocean floor to detect the presence of oil or gas reserves. 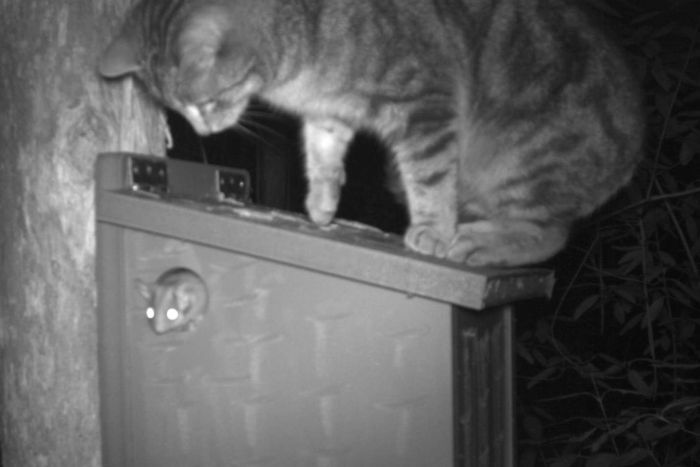 AUSTRALIA – Researchers have warned they may have underestimated the threat feral cats pose to the critically endangered Leadbeater’s possum, after inadvertently capturing footage of a cat preying on possums as they attempt to leave a nesting box. Ecologists from the University of Melbourne had motion-detecting cameras focussed on artificial nesting boxes as part of a study into nest-box microclimates in the Victorian Central Highlands. NEW ZEALAND – New Zealand hasn’t been “walking the talk” on climate risk, finds a sweeping new analysis of hundreds of annual reports and statements. Climate change threatens hundreds of billions of dollars of property and infrastructure, and will require an economy-wide shift toward lower emissions. A leading policy analyst was therefore shocked to find scant information about climate-related risk in reporting by companies, councils and government departments. NEW ZEALAND – It helps not to be allergic to maths when grappling with the idea of New Zealand planting 1 billion trees in the next 10 years. Those who have absorbed the Government’s grand plan for 1 billion trees by 2028 tend to make their case with a blitzkrieg of big numbers and lots of division and multiplication. Forest Owners’ Association president Peter Weir is among the maths gymnasts, but mercifully not before he cuts to the chase: “We’ve done it before”. “We did more than that [in the 1990s],” says Weir. Governments worldwide are partnering with technology firms to make cities “smarter” by retrofitting various city objects with technological features. While this might make our cities safer and potentially more user-friendly, we can’t work off a blind faith in technology which, without proper design, can break down and leave a city full of environmental waste. The Canary Wharf Group is taking steps to remove single-use plastics across its entire property estate. Canary Wharf is teaming up with the Surfers Against Sewage to support the charity’s Plastic Free Community initiative. Unless we manage to limit global warming this century to 2°C, then we are in devastating, civilisation threatening trouble. We’ll need many things to help combat this emergency: technological innovation and scientific and engineering advances which allow us to harness renewable energies. It will also require new patterns of working and living in more sustainable ways. And I think we will also need something that is both subtler and yet perhaps more profound than these revolutions: a new vision of nature itself. With Pope Francis’ moral leadership and the faith community worldwide, the Catholic Church is uniquely positioned to lead a global movement for climate action. Here are three things the Vatican can do to inspire the world and demonstrate its own leadership on climate action. All deaths are sudden, even if long expected. Appropriately enough, this is the opening sentence of a book called Journalism in a Culture of Grief. And if ever there was a time of grief for journalism in Australia, it is today, with the announcement that Nine Entertainment is taking over Fairfax Media. It means the death of Fairfax and is the most consequential change in Australian media ownership in 31 years. NEW ZEALAND – For the West Coast, the gathering at the opening of the new Taramakau Bridge at the weekend was quite big. From the pictures I saw on television and online it looked like at least 300-400 (though well short of the thousands breathlessly claimed in some reports.) Of course, it isn’t necessarily straightforward to say why exactly someone was there. The main event was the opening of the new bridge, though two groups seized the opportunity to express their own views, about 1080 in one case, and the Government’s intention to not allow new mining operations on public conservation land in the other. Australia’s failure to embrace the global shift to electric vehicles stands to be more than just a national embarrassment, industry experts have warned, with Australian motorists at risk of paying more – and having less choice – if government policy doesn’t pick up the pace. That was the firm message delivered to the Senate Select Committee on Electric Vehicles, chaired by Senator Tim Storer, at a roundtable in Melbourne with around 20 executives from the Electric Vehicle Council. NEW ZEALAND – Palm kernel expeller (PKE) imports have hit record levels, despite the fact dairy farmers will be penalised from September 1 for feeding their cows excessive quantities. The latest figures are bound to reignite controversy over the role PKE is playing over rainforest destruction. Palm kernel is a by-product of palm oil production.